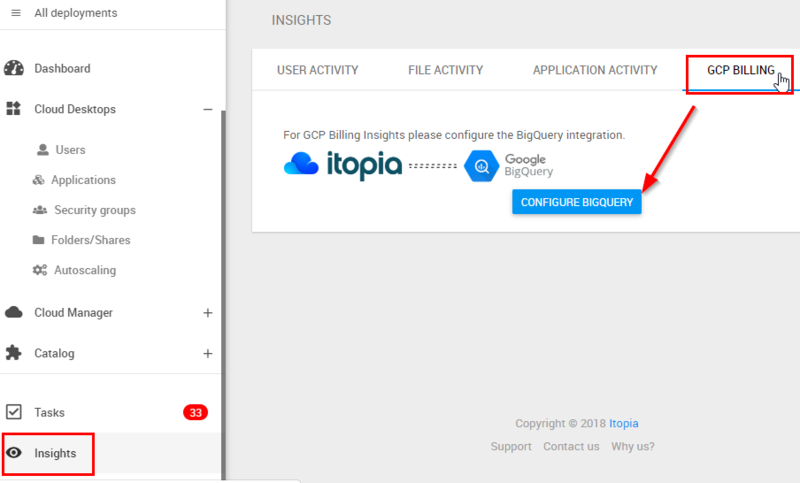 To setup Billing integration, you need to enable BigQuery export first. 4. 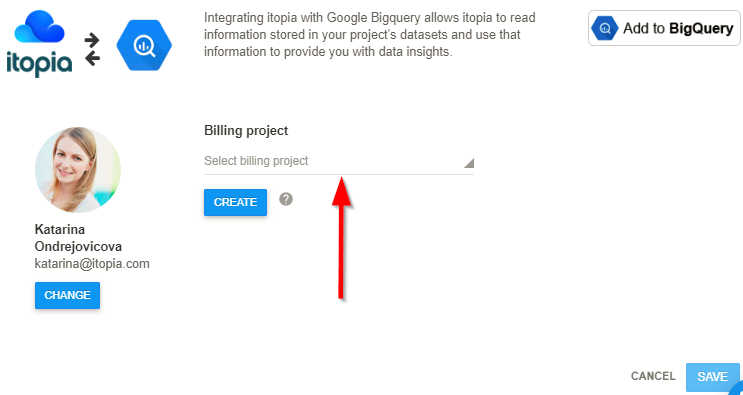 Select the Billing Project where you created your DataSet when enabling BgQuery (step 1). Note: If you don't see any dataset available, go back to the step 7 of BigQuery export guide to create a dataset for your billing account. 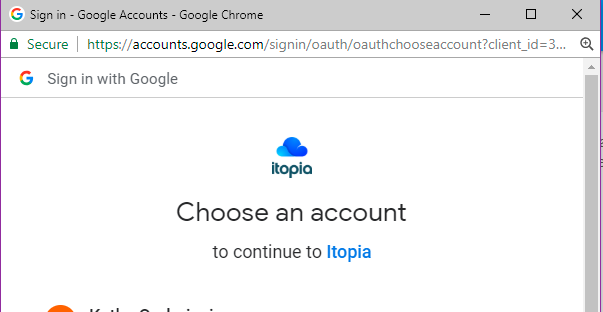 After setting up the integration the system may take up to 24 hours to update the data depending on when you created BigQuery export and configured the integration with itopia. Our database updates once a day at 12 AM Pacific Standard Time. 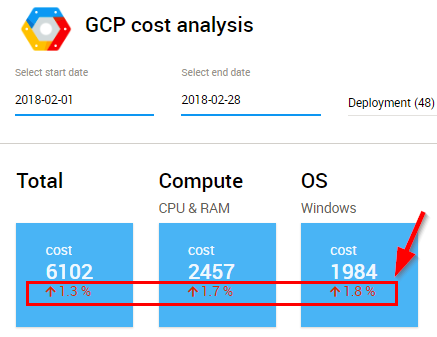 To review the data after the sync time go back to Insights module - GCP Billing tab. You have the option to filter dates, deployments, products and services. 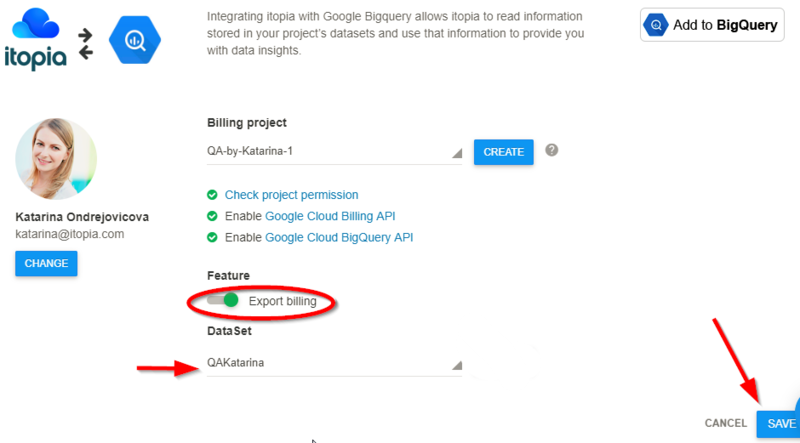 Note: Google starts exporting the data when you configure the export to BigQuery so you will not be able to see the data previous to the day of configuration. The red percentage under the total costs shows the difference between the time range displayed and the previous period that is as long as your selected time range. For example, if I filter out the month of February, the system will show me how much the cost increased or decreased since the previous month (January).